All of us need a Wi-Fi extender in our lives. Not only do they extend the wireless coverage area but the best Wi-Fi extenders of 2019 also maximize our Wi-Fi’s performance and provide additional Wi-Fi access point. As a result, whether we are sitting beside them – or three stories above– we don’t get to experience what experts call as weak Wi-Fi zones. Don’t know where from where you can get such a router? ​It is where this article comes into play. And as a bonus, we’ll also provide you with the pros and cons of each. So if you think one extender’s shortcomings are too hot to handle for you, there would always be another option. Ask those living in a multi-story house or working in an office, and superb Wi-Fi coverage is only a dream with a single router. And when the coverage would be less than satisfactory, so will be the coverage area of the Wi-Fi signals. These two are the major reasons why people buy – or hope to buy – top Wi-Fi boosters. What those people don’t get is the list of top 10 best all-round Wi-Fi extenders which you’ll get here. From this table, you can deduce two factors: ease of setting up your router and its performance. Routers which are easy to setup normally allow you to set them up wirelessly. As for the performance, extenders which have MU-MIMO technology dwarf others. However, as you’ll see later in this article, such extenders do not come cheap. Despite coming at a below-average price, the US300 Wireless Range Extender offers features that can be best described as average. What are those features? Will they meet your requirements? To say that this range extender is only for not-so-modern routers won’t be an understatement. In fact, on close inspection, two features prove the veracity of this claim. One, it doesn’t support the latest 802.11AC Wi-Fi, meaning it won’t offer more than 300MBps (theoretical speed). Two, it isn’t dual-band, meaning you’ll have to suffice with the clustered, crowded 2.4GHz band. If you’re still here – despite reading its shortcomings, it could only mean one thing: you want to know more about this router. And since I’ve already dished out the bad features, let’s now stick to some good ones. After being depressed by the inability of this router to provide 802.11AC, it was the setup process of this router which allowed me to form a positive opinion about it. For, the setup process is a cinch. No need for Ethernet cables, no need to turn back to the instruction manual. All you have to do is to plug it in, and set the extender wirelessly. Apart from the setup, it was the range of this extender that impressed me. Yes, the speed wasn’t great, but I couldn’t complain about the range. T hat despite the fact that there is only a single 2.4GHz band on offer here. Still, if for some reason you don’t find the range to be enough, the extender has antennas which you can direct to increase signal strength. Moreover, since at first, you’d have to move the extender time and again to know its ideal position in your house, the device is extremely lightweight, hence highly portable. As stated above, I’ve two major complaints with this range extender. It doesn’t have the 802.11AC Wi-Fi and only has a single band. If you don’t want lightning fast speed in your home or office - but cannot compromise on signal range, this extender is for you. Don’t know the reason why I wasn’t happy with the previous router? Well, once you read the features of the TP-Link AC1200, you’ll. Although it costs double than its predecessor, the TP-Link AC1200 has all the bells and whistles to justify its price. As you’ll see in the buyer’s guide, we have urged you to consider extenders which give you feedback placement. Put simply, extenders having this feature guide you on where to place them. In this way, when you position them optimally, you get the maximum performance out of them. Thankfully, this router does just that. On its left antenna are two lights – blue and red – which show you the connection status. If the right is red – which it will be at the start – it means the spot isn’t ideal for extender placement. Once it turns blue – which it eventually will – you can leave the extender there and start browsing at full signal strength with no Wi-Fi dead zones and maximum Wi-Fi speed. Another reason why this extender deserves your attention is its universal compatibility. Mostly with extenders, it happens that you buy one and go home, just to find out that your router won’t support it. This router won’t leave you in any such predicament. Why? Well, of the many Wi-Fi’s that were available over the years, five of them have been the most common. And you can find all five of them with this extender. This ability of this extender makes it backward compatible. As a result, no matter which router of which brand are you using, this extender would support it. That said, providing different types of Wi-Fi’s and providing good Wi-Fi speed are two different things. So how does this extender fare on the latter count? It fares brilliantly! As this is where the dual-band supported by this device will come into play. But before I explain how it does that, a little disclaimer: providing good speed doesn’t mean that this extender won’t provide good range. Rather, the Wi-Fi does both, once again thanks to dual band connectivity. While the 2.4GHz band will provide unprecedented signal range, the 5GHz band gives its signals a maximum theoretical speed of 1200MBps. Other Wi-Fi extenders require you to create a special place for them on your bookshelf or study table. This won’t demand either, thanks to the fact that it is wall-mountable. It is also supported by a user-friendly app which lets you control all of its functions from your smartphone. After giving this device all the goods, TP-Link blundered on one count: the antennas of this device aren’t removable. It means whether you like their signal strength or not, you cannot replace them with those offering better gain. For a repeater which offers great speed, an above average range and is wall-mountable, AC1200’s price makes it a steal. Buy it, and there is very little (if any) chance that the device may disappoint. There is a myth surrounding extenders that due to the speed they provide, you cannot do online gaming using their signals. To debunk this myth – and many more like it – the D-Link AC1200 comes into play. Have a look. What’s the first meaningful thing you note about the extender once it arrives at your doorstep? Is it the speed, or the range, or its design? Nope. It is none of that. For, it is the ease/difficulty with which the device sets up which either dampens or heightens your expectations. Thankfully, then, the first meaningful impression of this device won’t dishearten you. Instead of using the age old wired setting up method – or the relatively modern wireless one – this device allows you to set it up using its QRS Mobile App. Yup, that’s true. What’s more, you don’t have to remember your IP address or any such technical details. Plug the extender in, connect it to your router, and it will fetch all the details by itself. All you have to do is to just oversee the process using the QRS Mobile App. Ok then, the first impression was good, what about the next one? Even better, dare I say. In addition to giving off Wi-Fi signals, this device has four gigabit Ethernet ports. By allowing four users to connect with it via wires, this device takes the burden off your Wi-Fi signals. This reduction of the burden from your Wi-Fi signals not only increases their range but also increases their strength. After all, the device won’t have to send signals to those persons who have a wired connection. It means better signal strength and Wi-Fi speed for other users. The AC1200 uses an internet-based management console which you must visit if you like to tinker with settings. Don’t worry, there is nothing too technical here. Rather, it includes settings like changing the SSID, selecting a bandwidth for each band, networking modes etc. Hence, whether you want to limit data consumption – or to check your extender’s safety settings, go to the management console. Finally, D-Link has programmed the AC1200’s firmware to let it be used as a three-in-one device. Yes, apart from working as a range extender, it acts as a media bridge or a standard Wi-Fi access point. Supplementing the AC1200 with a USB port was a very good idea on D-Link’s part. Using a 2.0USB port? Not that good. It slows down transfers and gives this router an easily avoidable bad name. For those who are having trouble maintaining strong signal in their home or office, the AC1200 might help. Being more than a range extender, you can use it either as an access point or as a media bridge. And it doesn’t charge astronomically for its services. Despite being ridiculously inexpensive, the D-Link AC750 has all the bells and whistles to make it a shrewd purchase for anyone. To let you know that price isn’t a very good indicator of the quality of a product, the AC750 offers dual-band connectivity despite its cheap price. If you are using an old router, setup this device to operate on the 2.4Ghz band and it will work seamlessly. For users who have a modern router in their house, they can take advantage of the speed with comes with the 5GHz band. More importantly, in addition to giving good speed, the range of this extender is also brilliant. Why? Well, as the 5GHz band is famous for its speed, the 2.4GHz band provides Wi-Fi signals with unprecedented range. Therefore, if you want to get rid of dead Wi-Fi zones from your house, this is the extender you need to purchase. While the AC750 won’t give parental controls – the best option for online security, it uses an age-old method of WPS (Wi-Fi protected setup) for the same purpose. Just press a single button, and your Wi-Fi would be secure of malicious threats. 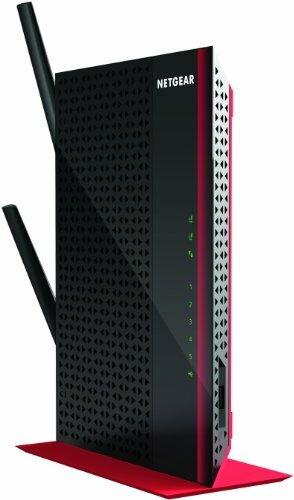 To setup this router, the AC750 gives you two options: WPS and manual. If you want it to automatically detect the nearest network, use the former option. In that case, all you’d have to do is to press a single button for the extender to configure automatically. However, if you have signals from multiple Wi-Fi routers coming inside your house, go for the manual option. While it would be trickier than the automatic option, you’d be guaranteed of its success. Online Gaming enthusiasts will like to know that this extender supports the latest AC Wi-Fi. However, that doesn’t mean that those will slightly old routers cannot use it. For this extender is backward compatible, meaning you can set it up with almost any router you want. Check here our list of best wi-fi routers. As one might guess, the manual setup of this extender is far from easy. Adding to the difficult is the difficult-to-read installation instructions from D-link. It means you are mostly on your own if you decide to setup this extender manually. Whether you indulge in online gaming or just use your Wi-Fi for browsing Facebook, this extender will serve both needs with aplomb. But for that to happen, you would have to navigate through its tricky setup procedure. It doesn’t matter what manufacturers claim about their extender’s Wi-Fi speed, the basic reason why we purchase extenders is for increasing range. And if you agree with my claim, it means the Linksys AC1200 is just right for you. To satiate the appetite of online gamers, the AC1200 has two high-gain antennas. These antennas not only increase the reception but also the signal transmission quality of the extender. In other words, they enable the router to receive and transmit more signals. And how will that benefit you? Well, with better signal transmission, the high-gain antennas won’t frustrate you with the positioning of this extender. You can place it anywhere and the antennas will extract signals from the nearest router. And as for the better signal transmission, it would mean no Wi-Fi dead zones and better strength of Wi-Fi signals. Consequently, coming back to how it will help online gamers, they could play data-intensive games without a hitch. The Linksys AC1200 has got something special for music lovers as well: an audio jack. Located on its back side, the audio jack allows you to connect your wireless speaker or stereo directly to the extender. In this way, wireless music devices won’t have to compete with other internet devices for signals. This, in turn, would result in a breathtaking music experience. If you have got guests coming in your house – and fear that they would get all the signals, you can use the Gigabit Ethernet ports provided on the extender. Connect a wire to these ports, and you’d receive Wi-Fi directly from the router, meaning you won’t have to take part in the Wi-Fi rat race. To make sure you get its positioning right, the AC1200 gives you placement feedback. However, you won’t get the feedback from LED lights on the extender. Rather, it is the Linksys Mobile app accompanying the extender which will do that. On the app, you’ll see three options while positioning your router: too close, too far, and just right. While placing the router too far has obvious disadvantages, placing it too close to the extender will result in a limited extension. What you need to do, therefore, is to make sure you turn the “Just Right” option green. Once you do that, you’d get optimal speed and signal range from your device. Finally, though you may already have guessed it by now, this extender supports dual-band Wi-Fi. That is, whether you need the range of 2GHz band or the speed of 5GHz frequency, you’d get both. You won’t get any indication from the extender regarding the Wi-Fi band you may be using. It means you have to check which signal your device is getting to know about the band. The Linksys AC1200 (RE6500) is a great option for those who want both the utmost in performance and a reliable Wi-Fi connection. Containing external antennas for better range, the Netgear AC750 has a built-In switch so that you don’t have to find an extension lead for it. Want to know more about it? Scroll down. Though most customers don’t consider this as a problem when purchasing a new extender, most of them come in a wall-mounted design. So you have no choice but to buy a separate extension lead for the new extender. This extender relieves you of any such predicament. It has a built-in switch which you can directly plug into the nearest electricity board. Subsequently, your house would be freed of the hazard that is lingering extension lead wires. To eliminate dead zones in any surrounding, this Wi-Fi has been provided with two state of the art features. First up are the two antennas which, being high gain, improve its signal reception and transmission. No matter how much load you place onto it, the extender would work seamlessly. Second, it has a dual-band Wi-Fi providing speeds up to 750MBps. By combining the range of 2.4Ghz band with the speed of tis 5GHz counterpart, the dual-band connectivity won’t leave you wanting. And to make sure you benefit fully from the advantages which come alongside dual-band connectivity, the AC750 supports latest AC Wi-Fi technology. Its support for the latest Wi-Fi technology doesn’t mean that the Netgear AC750 requires you to throw your old routers out before bringing it in. That is not how Netgear devices work. Rather, being backward compatible, it supports any router you may have in your house. In other words, if you want maximum speed and range, you may connect this extender with the latest router. However, if your router forces you to compromise on either, this extender would still be useful for you. If you ask me, I’d recommend using the latest router alongside this extender. Why? It is because you can only then take advantage of its Fast Lane Technology. Operating on the lines of MU-MIMO technology, it uses both bands at the same time for high-speed connection. That is, if multiple users are using its signals at the same time, the Fast Lane Technology would provide and receive signals to all of their devices simultaneously. No one will have to wait for his turn to get Wi-Fi signals, meaning better online experience. And to make sure you get only the best performance out of this router, it provides a Wi-Fi analytics app. Apart from optimizing your network, it checks signal strength and monitors network status. What’s more, it also identifies channels where there is the least interference, meaning better speed and range. Curiously, this Netgear AC750 has the same problem as the Linksys AC1200. Both of them don’t have any indication on the router regarding which band they are using at any time. The Netgear AC750 is a dream extender to have, regardless of what purpose you’ll use it for. It isn’t overly expensive, gives feedback on its placement and has combined the speed and range of 2.4GHz and 5GHz band, respectively. What more can you ask? Costing as much as a medium-quality router, the Netgear AC1200 is by no means cheap. That said, once you look at its features, its price tag may look small to you. As you might have guessed by now, dual-band connectivity is a given in most good-quality extenders. No extender, therefore, could impress you by stating that it supports dual-bald Wi-Fi. What might impress you, however, is the speed variation which occurs within most dual-band Wi-Fis. Put simply, most of the extenders mentioned above churned out as much as 700MBPs speed. That speed is great but only until you don’t know what the Netgear AC1200 has to offer: a maximum speed of 1200Mbps. How’s this possible, I hear you ask? Well, it’s possible and you’d believe it once you know about the equipment this extender has. First up is the 700mW amplifier which does something more than just oozing out power. Thanks to this amplifier, this extender has become able to distribute its Wi-Fi signals wide and far. That means the dead-zones which troubled you so far would be history thanks to them. Another piece of equipment which does the same purpose are the two high-gain antennas. Jutting out from the back side of the router, both these antennas have narrow radio beams. Once these antennas receive signals from the devices desperate for some Wi-Fi, they use these beams for accurately pointing their signals at the connected devices. What’s more, high-gain antennas are also known for giving more power to the receiver – thus their usage in space missions. As a result, there are fewer instances of interference when your extender is using high gain antennas. And when the interference will be less, signal quality will be better, and Wi-Fi speed will also be likewise. More importantly, there are no stray Wi-Fi signals in the air, this device has beamforming technology. Usually found in routers, this technology directs signals directly to the connected devices. As a result, more reliable connections are created. Unlike cheap extenders, this extender, while catering for the Wi-Fi devices, doesn’t leave wired devices in the lurch. Instead, it has 5Gigabit ports to make sure all of your wired devices also stay connected. In addition, if you have gaming consoles, you can take advantage of the 4 Ethernet ports on this router. Thus, once you install this extender in your home, no device, wired or wireless, will be left internet-free. If you are looking for a cheap option, we made a list of best cheap wireless routers available in the market. Though it seems difficult to believe, this device does have a few shortcomings. For, unlike other routers, you cannot set this extender up using a wired device. Also, let’s say if you are using WEP security at one time, the WEP setup won’t work. To say that this router has the best features of any router in this article won’t be an exaggeration. After all, it has got beamforming, powerful and high-gain antennas and provide 1200MBPs speed. So if you can afford to spend a little extra, it is the Netgear AC1200 Extender you should buy. Though appearance is the last thing Wi-Fi users note in their extender, I still found the Linksys AC750 beautiful. It has a faded-white appearance which makes it suitable to blend with a variety of surroundings. There were times when all you had to do was to purchase the extender, install it, and then forget it. Sadly, that is no longer the case with all the online threats that we’ve seen in the past few years. Now, if you want to keep your online activity safe, you’d need help from your router/extender. Luckily, the AC750 doesn’t shirk from its responsibility and secures you with its firmware. Not only that, but you won’t have to worry about whether the firmware is up to date or not. For, Linksys would automatically update this firmware as soon as it releases updates. Thus, you don’t have to worry about your or your children’s online safety. As much as I liked the automatic firmware update feature, the AC750 has got a lot better to offer. Look, for example, the feature with which it sets up. For good performance, it is imperative we set an extender neither too close nor too far from the router. That is, however, easier said than done. But with the AC750, you get a Spot Finder Technology you can easily setup your extender at an optima location. You can find the Spot Finder Technology on the extender’s web interface. Once there, you’d see the extender showing you the visual distance between it and the router. More importantly, it will show you the place where the signal strength is the most optimal, meaning you won’t have to experiment with the location of your extender. Until now, we showed you how Linksys made it easy for you to not only set this extender up but also secure it online. Still, the most important question remains Wi-Fi speed and range. Thankfully, Linksys didn’t disappoint on this count as well. To increase the Wi-Fi speed, it has provided this extender with a Crossband technology. This technology uses both bands at the same time for signal transmission and reception. As a result, fast and reliable data speeds become the norm once you start using the AC750. For all its usefulness, the setup, as well as User interface of this device, is far from simple. If you want an extender which works with all routers, has the latest technology, keeps you secure online and doesn’t cost you a fortune, the Linksys AC750 deserves your attention. Want an extender that can let you play online games, stream online HD videos and listen to Spotify music seamlessly? Willing to pay big bucks for the ultimate prize? If your answer to both these questions is in the affirmative, the AC2600 might suit you. To do all the things which I mentioned this extender could do, it got to have something special. Guess what, it has THAT something special: MU-MIMO technology. Ordinary extenders operate by sending/receiving signals from one connected device at one time. In case the number of devices exceeds, they have to form a queue to send/receive signals. This queue system, as one might guess, results in the lowering of speed and signal range. Not so with the MU-MIMO technology. As told by the abbreviation of the term, this technology enables the device to send/receive signals to multiple devices simultaneously. That is, while the number of connected devices is two or twenty, all of them will receive signals at the same time. Consequently, there would be no signal lag and better Wi-Fi speeds. If you were thinking MU-MIMO technology is the only reason why this device is so expensive, you’re wrong. For, there is another technology – known as beamforming – which makes this device expensive. Put in simple words, beamforming directs signals straight from the router to the connected device. It results in low wastage of signals and stronger connections for individual devices. If that wasn’t enough, the AC2600 has four high-gain external antennas. Provided the abovementioned technologies fail to remove dead zones in their house – which they won’t – you can change the direction of antennas, and Wi-Fi dead zones will be history. Due to all these technologies, this extender has been able to churn out high speeds than other dual-band routers. Operate both the bands simultaneously, and you’ll get 800MBPS on 2.4GHz and 1733MBPS on 5GHz band. What’s more, due to the four antennas, this extender will maintain the mentioned speed across four devices simultaneously. If you want to setup a separate network for guests, the router won’t mind. It also has a user-friendly TP-Link Tether App which not only allows setting up guest networks – but also allows the customization of settings such as firmware updates, device management and much more. And finally, to make sure you remain secure online, the extender gives alerts you when critical firmware updates are available. It means you won’t have to visit TP-Link’s website intermittently to check about the newest updates. There’s a bad news for Apple users who liked this device’s features. Its app won’t work on iOS 7 or low. If you are willing to toss the dice for once, make sure you do it for the TP-Link AC2600. It has all the features to earn your confidence. And more importantly – as the abovementioned review showed – there are very few chances of things going wrong with it. Want a device which can boost the next-generation Wi-Fi in your home? Look no further as that is exactly what the Linksys AC1900 would do. Ask users of Wi-Fi extenders about the most frustrating step they encountered while setting up their device. It is likely most of them would give a common answer: finding the optimal position. For, in contrast to common opinion, you could neither place the extender too close nor too far from the router. What it calls you for, instead, is to place it optimally. And as the same users might tell, finding the optimal location for your extender is easier said than done. That is, unless you don’t have the Spot Finder technology offered by the AC1900. All you have to do to use this feature is to install Linksys app. Afterward, once you have found out your model in the app, search for the Spot Finder feature. Once there, the feature would guide you where the best location of your router lies. Some users don’t want their extender to create a separate network. They want it, rather, to extend their home network by merely serving as an excess point. Luckily, if you think this description perfectly defines what you need from your extender, feel free as the AC1900 has an Access Point Mode. Activate it, and you can move between your router and the extender without changing networks. For those of you worried about signal drop-off, breathe easily as the AC1900 has beamforming technology. As stated above, this technology would focus the Wi-Fi signal to the connected device. While the beamforming technology would increase range, the MU-MIMO technology used by this router would increase Wi-Fi speed. It provides signals to several devices at the same time, thereby not letting any one of them to remain behind. And if that wasn’t enough, you don’t have to designate a special space for this device. For, suiting your convenience, it has a built-in switch, meaning you can plug it directly into your switch board. Antennas used by this device aren’t high gain. It means you’d have to trust beamforming and MU-MIMO technologies for the signal range. Any other device and the lack of high-gain antennas might have ruined it. However, since it is supplemented by Beamforming and MU-MIMO technologies, the AC1900 won’t suffer from their absence. What are the features which make a Wi-Fi extender great? Which loop holes do you need to avoid during the buying process? You’ll learn this and much more in the buyer’s guide. How does a Wi-Fi extender works? Yup, it extends the range of signals, but this is NOT how a Wi-Fi extender works. This is only the culmination of the process going on inside the extender and away from your eyes. What actually happens inside it is a myth, one that will be busted right here. Also known as a repeater, a Wi-Fi extender works by receiving the signals from the router and disseminating them to heretofore weak Wi-Fi zones. To better understand, let’s borrow an analogy from European football (American Soccer). In soccer, the defender passes the ball to the midfielder who then gives it to the striker – you are a striker in this assumed scenario. The Wi-Fi extender, in this scenario, is a midfielder which receives the ball (signals) from the defender (router) before passing it forwards to the striker (You). One thing you may want to know is that having an extender means you’ll have two excess points in your home – the router, and the extender. Depending on where you happen to be, you can connect to any of the devices at any time. It means that the extender won’t remove the router as an access point in a bid to serve as one. Both of them are devices which can be used to extend the wireless coverage of your router. Beyond that, there are little (if any) similarities between them. Let’s see how they compare with each other on various counts. As stated above, wireless extenders receive signals from the router before re-transmitting them to your device. They have no signals of their own and cannot work in wired mode. Also, if your house isn’t very big, one extender will serve the purpose. A mesh router, on the contrary, works when several separate hubs are placed around the house. These hubs communicate with each other and provide Wi-Fi to connected devices. Unlike the Wi-Fi extender, each mesh router acts as a separate router. To put it bluntly, mesh routers are fairly easy to setup and provided you want to control all the hubs at once, are easy to manage. The hubs come preprogrammed most of the time and the majority also comes with a mobile app. Therefore, after powering them, it doesn’t normally take more than 15minutes to setup a mesh router. In contrast to the ease with which you can setup a mesh router, Wi-Fi extenders are often a confusing mess in this regard. As they allow you to connect them with a router from a different manufacturer (you can connect a TP-Link extender to a Netgear Router), you have to manually configure all the settings to connect the extender to the main router. If you’re in the process of scaling up – or down, a Wi-Fi extender might be more beneficial to you. To extend the range of an extender, all you need to do is to add more extenders. That said, a signal which is repeated several times might not be as strong as its original counterpart. Mesh routers, on the other hand, won’t scale well. Since each of their hubs is connected to every other hub, installing a new hub means you’ve to manually connect it to all the others you may have in your house. As you might guess, this process takes a lot of time and money. Ah, the good old price factor, one which will overshadow all others we have mentioned thus far. In monetary terms, a wireless extender is very much inexpensive as compared to a mesh router. For example, while Wireless extenders are available for as low as $50, you need to cough out as much as $300 for a decent mesh router. This much difference in the costs of both devices is due to the way they operate. As extenders just repeat the original signal, just install one of them and the whole house would be a Wi-Fi zone. Mesh Routers, however, always operate as a team, meaning you have to install their entire system of multiple hubs. It is this combination of units that makes them expensive. If you live in a house which isn’t that big and don’t want to spend extra, go for a wireless extender. However, if you have a hotel or a very big house – plus very deep pockets – you’d like the service of a mesh router. Overall, the market of Wi-Fi extenders has become crowded of late. This has resulted in the advent of features one has never heard about. To keep things simple, we only included those features in this section which directly affect the speed, performance, and range of the extender. The more, the merrier. This proverb holds true when it comes to router antennas. In addition to increasing the Wi-Fi speed, the antennas of a wireless router also increase wireless range. Signal strength is another entity which is known to benefit with the increase in a number of antennas. Despite all their advantages, external antennas do have one shortcoming: they make the router look ugly. To overcome it, companies are now manufacturing extenders with internal antennas. These antennas give the device a slimmer profile while retaining all advantages that external antennas may provide. Ever wondered why Google loads so quickly while HD videos take a lifetime to start? Even if you haven’t, we have got the reason for you: your router doesn’t have Quality of Service. Routers with an integrated QoS prioritize critical data over trivial traffic. To determine the importance of data, such routers decide by calculating the data consumption of each user. For example, if A is playing Call of Duty and B is on Facebook, routers with QoS will prioritize the former. Another important aspect of integrated QoS is that it allows you to designate several sites as a priority. As soon as you open those sites, you’d get more data than other users, meaning seamless browsing. If you want to have a seamless experience while switching between an extender and the router, go for the extender which works on the same SSID as your router. In this way, depending on your proximity to either, your device will automatically connect to the nearest signal emitter. In contrast, there are other extenders which have their own SSID, separate to that of your router. Such extenders are difficult to live with as whenever you switch to or from them, a manual reconnect will be necessary. Just like your router, you need to place your extender in an optimal location. It is the location where the extender is close enough to receive maximum signals from the router – while also being able to deliver those signals to the connected device. Not leaving anything on chance, some manufacturers have churned out extenders which give you placement feedback. Either through their software or by on-device LED lights, such extenders indicate whether their placement is optimal or not. To be honest, deciding whether to buy a small or large sized extender is a matter of personal performance, one that doesn’t affect the performance of the router. Choose what meets your requirements. In contrast to what most people think, extenders transmit not only transmit but also receive signals from the connected device. In the bad old days, extenders had only one frequency at their disposal – 2.4GHz – and two functions to perform (transmit and receive signals). To perform both functions, transmitters worked in a way that earned them a very bad rap. They worked by repeating the 2.4GHz signal and cutting one half of their bandwidth. As a result, the final user experienced slow browsing speeds. However, with the improvement in technology, routers are now able to transmit both 2.4GHz and 5GHz frequencies. This was a godsend to extenders who can now transmit signals on one frequency while receiving signals on the other. As a result, today’s extenders are able to transmit full bandwidth to the final user. Though not as necessary as the other features mentioned in this list, having an extender which supports an open source firmware is a bonus. In this way, even when the manufacturer will stop sending firmware updates, you can update your router on your own by purchasing its latest firmware version from the market. As a result, your router will last longer. What You Need to Know before Buying a Wi-Fi Extender? Unlike your router, a Wi-Fi extender won’t work alone. It cannot work properly until it complements the work of your router. Put simply, if the router and the extender do not complement each other, it is the latter whose performance will suffer. Therefore, before buying a Wi-Fi extender, keep these points in mind. In the good old days, Wi-Fi was simple: it evolved from A to B, then G and N came into play. Currently, however, things have got a little complicated. We have a Wi-Fi named as AC and routers giving AC Wi-Fi typically have two frequency bands: 2.4GHz and 5GHz. Why am I need to know this, I hear you ask? Well, here’s why. Routers belonging to the near past – and which provided N Wi-Fi, can provide as much as 300MBps of speed. Currently, we have routers operating on AC Wi-Fi and providing speeds touching 1900MBps. Now, here’s the catch. If you have a router say, whose speed doesn’t exceed 300MBps – and decide to connect it to an extender which provides 1900MBps, your money will go to waste as the system won’t work. Similar would be the case if your router uses N Wi-Fi and your extender using the latest AC Wi-Fi. So what should you do? You need to check your router’s model. Afterward, you need to compare it with that of your extender’s. Once you are sure both have the same specs, only then buy the extender you are looking at. Some routers while extending the wireless range also have a positive impact on the Wi-Fi’s speed. Others – majority belongs to this category – just increase the range without having any effect on the speed. Regardless of which category your router falls into, it should have Ethernet ports on its back. Apart from helping you to connect it to wired devices, Ethernet ports also increase Wi-Fi’s speed. How’s that possible, I hear you shout? Well, it is because the greater the number of Ethernet port users, the smaller the reliance will be on Wi-Fi. This will, in turn, result in reduced interference of Wi-Fi signals. And as you already know, reduced Wi-Fi interference means more speed. As suggested above, one of the reasons why old Wi-Fi extenders had less speed was because they supported a single band. They had no choice but to use the same band for both receiving and transmitting signals. As a result, their speed decreased and the end user suffered. Thus, while choosing an extender, make sure it supports both the older 2.4GHz band and the newer 5GHz band. While the former guarantees long range, the 5GHz band is known for providing more speed. Consequently, when working in unison, both of them guarantee better range and faster speeds. To be sure, anybody can setup a Wi-Fi extender, it’s not that difficult. That said, not everybody could set it up for the perfect wireless signal. Doing the former requires your instinct, for the latter, you need to know some basics. All of us want to have an extender, which, no matter where we place it, works straight out of the box. Unsurprisingly, such an extender doesn’t exist. You have to experiment with its placement to find out which one suits it (and you) the most. To start off, it would be better if you know your router’s location, the location of AC outlets in your home, and the Wi-Fi dead zones. Once you have done this, look for the AC outlet which lies halfway between where you want the extender’s signals to go and the router. Once you have found such a space, connect your extender to your router. Now, go to the Wi-Fi dead zone and see whether it is receiving Wi-Fi signals or not. Remember, the speed of the signals won’t be as good as that of your router’s. What you need to measure is a range. If the first tip isn’t working, place your router to where it works best, and then connect it to the switch using an extension cord. If possible, it would be great if you can place the router atop an armoire or a bookshelf. If you are still having problems, try changing the direction of your router’s antennas. Provided they aren’t working as expected, swap them for amplified or higher gain antennas. Alternatively, provided you don’t want to spend more money, create a Wi-Fi reflector and place it beneath your extender to direct the wireless signals where you want them to go. For those of you who live in a single-floor apartment or ranch house, this tip is not for you. It is for those who live in a multi-story house and intend to use the same extender. If both the router and the extender aren’t on the same floor, it is necessary you take into account factors i.e. walls, wood, an extra height which block Wi-Fi signals. In fact, as per a rule of thumb, router and extender work best in multi-story houses if one of them is placed exactly above or below the other. If you want your extender’s signal strength to remain intact, place it away from devices which have RF signals of their own. Such devices, by producing signals of their own, interfere with the Wi-Fi signals to decrease its strength. Examples include cordless phones, refrigerators, microwave ovens and even baby monitors. Similarly, objects such as large metal pieces and mirrors reflect Wi-Fi signals, thereby hindering their ability to reach you. There are still other objects such as walls or closets which absorb Wi-Fi signals. You need to place your router away from both. When you’ll be setting up your extender, it’ll give you two options regarding its name. Either you can borrow your router’s name or you can set a new one. Both these options have their own pros and cons. For example, if you don’t want to manually reconnect to the router or the extender whenever you move between their covered zones, same log-in credentials will help. That said, using the same credentials might mean problems in areas where the signals of both the router and the extender are overlapping. Hence, if you note this issue, try changing the login credentials of your extender. There are two types of maintenances your extender requires. First is the one you need to do BEFORE plugging it in. The second will come after you’ve plugged it in and it has started working. Let’s take a look at both. In order to work well, your extender needs maximum support from your router. Therefore, it should be placed in an area where the Wi-Fi signal strength exceeds 50%. That said, I’m not asking you to place the extender beneath the router. Doing so will defeat the purpose for which you are installing it in the first place. But how can I determine Wi-Fi Signal strength, you might ask? Good question. Luckily, I don’t have to answer it, as most extenders will. For example, some extenders have LED lights which change color the moment the signal strength decreases. Others, such as the TP-LINK RE450, have indicator lights just for this purpose. Once you’ve plugged in the extender, make sure to update its firmware. As hinted by its name, a firmware is the anti-virus of your extender, keeping it safe from online threats. Once you’ve updated the firmware, you can be sure of online safety. Your Router might fall into one of these two categories when it comes to firmware upgradation. If it belongs to the first category, it will require you to manually download the firmware’s update from its manufacturer’s website, after which you’d have to install it. If it belongs to the second category, it will let you check whether there’s a new firmware update or not. Afterward, if a firmware update is there, it will automatically download and install it. Regardless of the type, no router updates its firmware on its own. Therefore, you’ve to check for firmware upgrades regularly just to be safe. Apart from upgrading its firmware, there is one more thing you should do while inside your extender’s user interface. You should check whether it uses PIN based WPS or not. As experts might testify, this is a big security flaw in old extenders. If your router is using it, immediately disable it. Many people believe that in order to remove Wi-Fi dead zones, desktop range extenders are the only choice. However, as we have shown you, extenders with a wall-plug design are equally efficient. What matters, therefore, is the performance and not the outer design of the device.